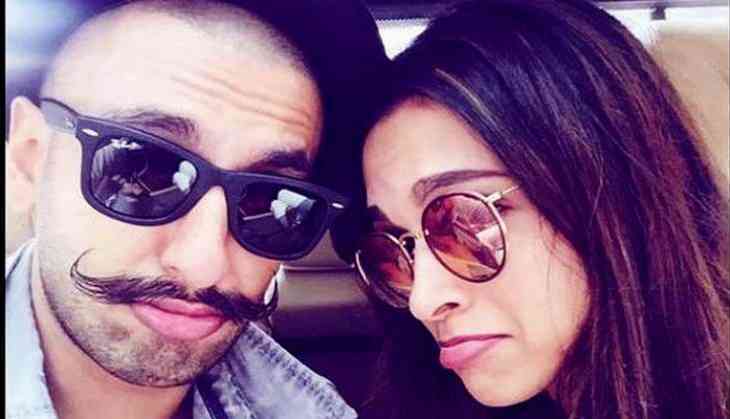 Deepika Padukone and Ranveer Singh are known to be one of the power couples of B-Town. However, there have been many reports that there is some trouble in their paradise. But quashing all such rumours, the 'Mastani of Bollywood' praised her 'Bajirao's GQ magazine cover by commenting on the photo posted by Ranveer. Deepika took to Instagram to praise Ranveer's GQ magazine cover and wrote, "Ufff," with a heart emoticon. It should be noted that both the stars will be next seen in Sanjay Leela Bhansali's magnum opus 'Padmavati' alongside Shahid Kapoor. Recently, it was announced that Paramount Pictures will be distributing the movie in international markets. The film tells the story of Rani Padmavati, the legendary Mewar queen known as much for her beauty and intelligence as she was for her courage; her husband Maharawal Ratan Singh, a glorious Rajput ruler and a warrior king who fought until his dying breath to defend his kingdom and his wife's honour; and Sultan Alauddin Khilji, an ambitious and obsessive invader, who left no stone unturned in his pursuit of 'Padmavati'. Helmed by Sanjay Leela Bhansali, the flick is slated to release on December 1.